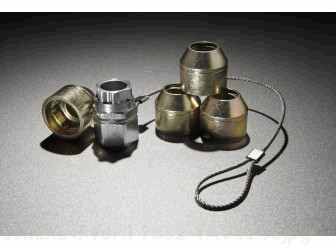 Open-Ended, Zinc-Plated For Hidden Lugs, Includes (4) Lock Lugs and (1) Key. 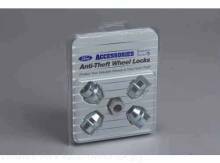 For added protection against wheel theft, replace one lug nut on each wheel with one of these locks. Chrome-plated locks (shown) available for exposed lugs; open-ended, anodized, zinc-plated locks available for hidden lugs. Kit includes four locks and key.